The MY*Tri is a classic triathlon with swim, bike, and run components. This event was established in 2013 by a team of local community members. Three race divisions; Dash, Sprint, and Ace, are available for all athletes ages 5-17. 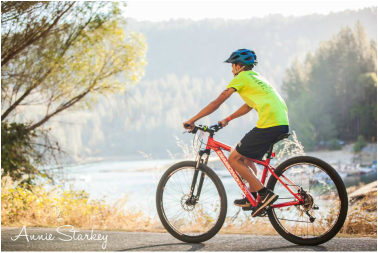 These triathletes are treated to a swim in the mountain waters off Miller's Landing Resort Docks, followed by a challenging bike ride, and run along the shores of beautiful Bass Lake. This event is sponsored by Children's Educational Foundation to promote health living for our mountain area youth. Our generous host, Miller's Landing Resort, offers a picturesque location and a wonderful lunch for each of our athletes. Relays are not available at this time. MY*Tri board reserves the right to postpone, cancel or change the race or race format at any time to ensure athlete safety. If the MY*Tri board determines conditions that might compromise the safety of participants, MY*Tri board, in its sole judgment, may cancel, postpone, or change the race and/or race format. No Refunds or Transfers will be given.